Arsenal have reportedly made an initial approach to Juventus over the potential transfer of centre-back Medhi Benatia. The Gunners are desperately short in defence at the moment after some unconvincing performances in that department this season. And it seems Unai Emery looks ready to bring in a proven, experienced name in that position in the form of Benatia after enquiring about the 31-year-old, according to Italian source Gazzetta dello Sport, as translated by the Metro. It remains to be seen if Juve will part with Benatia, though he is no longer first choice under manager Massimiliano Allegri. The Morocco international may well feel it’s time for a move elsewhere, and he would surely get more opportunities with a switch to the Emirates Stadium. The report also links Schalke as potential suitors for the player, and Arsenal fans may well feel this is a sign they should be aiming a bit higher. While Benatia was no doubt one of Europe’s top defenders a few years ago, his stock has fallen slightly and he isn’t getting any younger. 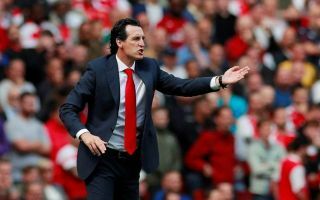 The Gunners could do with thinking more long-term instead of bringing in quick-fix signings as they did in the summer by recruiting Sokratis Papastathopoulos and Stephan Lichtsteiner in defence.